The phrase “a hung Parliament” invariably suggests an incapacitating weakness in the political process and a government that will be constitutionally incapable of taking decisive action. This, it is thought, is the last thing that is needed at a time of national crisis when hard decisions will have to be taken. While, therefore, there will be many to welcome a strong general election showing from the Liberal Democrats, there will be many others who will worry that it would make it virtually certain that no one party will have a majority. How, it may be asked, can the necessarily tough action be taken by a government that cannot command the House? We do not need to look far for the answer. Not only have we had our own relatively recent experience of a government functioning without a majority, in the form of Jim Callaghan’s 1976-79 government (which admittedly was rejected by the voters, though not because it failed to take hard decisions), but there are many instances from abroad of governments that have performed well in those circumstances. One such instance is particularly instructive, since it comes from a country that operates a Westminster-style parliamentary democracy very much like our own. New Zealand consistently rates at or near the top in international assessments of the effectiveness of its democracy, yet no New Zealand government has enjoyed an overall parliamentary majority since 1996. That was the year of the first election held under a new proportional representation electoral system. Since that date, no party has won a majority. Governments have been formed by the leader of the party that has been handed by the voters the best chance of putting together the necessary support from other parties. The arrangements negotiated on occasion by each of the major parties have depended on the relative size and political stance of the minor parties whose support is needed. They have varied from formal coalition agreements, to support arrangements – short of coalition – that have provided governmental posts for minor parties, to simple assurances of support on “confidence and supply” issues, to unspecific understandings that broad support can be relied upon. But those immediate post-election negotiations about the formation of a government are only half the story. The real significance of non-majority government is the change that it brings to the process of government. The New Zealand experience has been that government Ministers are constantly engaged in a process of negotiation; each piece of legislation, each major policy decision, has to be preceded by discussions to ensure that a parliamentary majority exists to support that particular measure. Curiously, this does not seem to have meant that the government’s programme is hopelessly delayed or frustrated. It has meant, at times of course, that legislation cannot be introduced until the necessary deals have been done, but the corollary is that the passage of more thoroughly prepared and carefully drafted legislation – once introduced – is smoother and takes less time. An even bigger plus is that the legislation – appealing as it must to a wider constituency than that represented by just one party – is often more soundly based and widely supported, with more of its contentious rough edges rounded off, than it would otherwise be. The psychological change is also important. There is less of Quintin Hogg’s “elective dictatorship.” There is less obsession with doing down the opposition parties at every opportunity, since their support might be needed on the next item in the government’s programme. 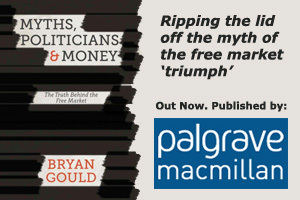 In other words, governments are not only freer to, but are required to, think more about broad-based positions than about the immediate party battle. There is a greater understanding of the value of broad public support and keeping in touch with public opinion. And Parliament itself is more widely representative of the range of opinion, and its members have a greater interest in and understanding of the processes of government. It is not necessary to idealise these outcomes. Government is still a messy, difficult, at times bad-tempered, partisan business. But we should not be frightened of ghosts and shadows. If the voters on 6 May deliver a hung Parliament, that will not mean that we must kiss goodbye to effective government. The pluses of less confrontational governmental politics might well outweigh the minuses. A government that represents nearer a majority of voters, rather than the 25% we have become accustomed to, might actually do quite well. We might even get a government that was able to use the broad support it was able to command to deliver not only immediately essential corrective measures but also necessary and long overdue reform.